Ashifa's makeup training courses are designed for passionate creative individuals who wish to learn all basic professional makeup skills and guide them into a successful career in makeup artistry. Ashifa's Makeup Training - What Makes Her Different? Ashifa wants to work with you! A great believer in professional makeup artistry education, Ashifa is now sharing her wide experience by providing Asian makeup training for creative passionate individuals. Having trained from the best institute in London (PTTLS Level 4) and worked closely with the very best in the industry, she plans to provide the highest standards of teaching for anyone who has a passion for makeup artistry so that they can also become a successful makeup artist. 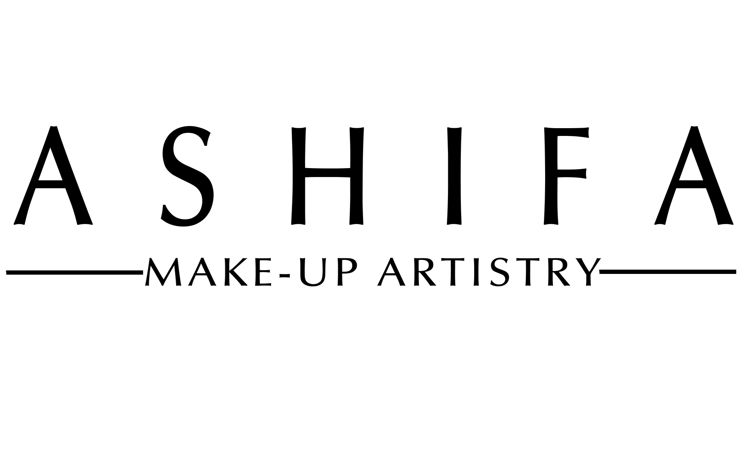 Ashifa has a very unique way of training new makeup artists and provides new students with fantastic opportunities, such as assisting her in her own work as well as teaching you impart the skills needed to help select individuals to establish their own business projects. Why Choose Ashifa's Makeup Course? Are you looking to gain an industry-recognized qualification in makeup artistry from the best training course in the UK? All courses are taught by Ashifa herself, and her excellent 5-star training rating will not leave you disappointed, as you will have the opportunity to learn from the very best in the Asian fashion and bridal makeup industry. To ensure you are provided with the best makeup training, Ashifa constantly consults individuals who have specific training requests, allowing her to develop and create bespoke makeup courses to meet your demands. This unique service requires great industry knowledge and a long-standing reputation for excellence in the field. The accreditation will give you the benefits of pro memberships schemes within make up brands i.e. mac, Illamasqua, Inglot and a requirement for public liability insurance. What Are The Benefits Of The Makeup Training Course? Approximately 80% of the courses are made up off practical hands-on sessions. Real models provided to work on with theory and practical final exams. Fully accredited courses that can be used for insurance and discount purposes. Refreshments provided throughout the course. Portfolio shoots with top experienced photographers can be arranged as an addition. In-depth free business set up advice, the opportunity to join the growing Elite ‘Ashifa’ team. We are committed to providing excellent value and ongoing support with our one to one training courses tailored to individual students. We are a strong brand and continue to recruit and grow an elite team of powerful yet talented individuals through our courses by providing on the job training part of the course and accreditation by ABT equivalent to Level 2 qualification in makeup. We also offer a 1-day unique self-application course, which is great for anyone interested in makeup artistry.